A place to explore and enrapture the antique jewellery lover’s mind, this blog is a space for us to communicate the joy and passion we have for all things sparkly. Whether divulging long lost anecdotes about a beautiful item or giving helpful hints and tips about purchasing your own special antique pieces, this is a space for you to learn, love and enjoy. Bracelets come in a huge range of sizes, materials and designs, and they continue to be one of the most loved and worn items of jewellery. Beads are as popular now as they've always been and they will continue to play a pivotal role in the creation of all different types of jewellery. 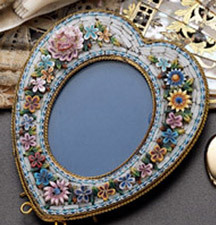 Vintage brooches are incredibly versatile and so prominently depict the period in which they were made. Allow us to explain the beauty and extravagance of the movie ''The Great Gatsby'' and its portrayal of the Art Deco period. 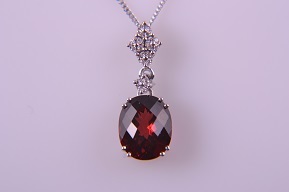 Garnets are some of the most prized precious stones used in jewellery. Investing in quality vintage or antique jewellery is a great way to add unique, characterful pieces to your collection. The house of Chopard has become synonymous with luxury, precision watchmaking and Haute Joaillerie. The Arts & Crafts movement lasted for about 30 years, and jewellery from this era is highly valued and sought after by collectors. Each piece of amber is completely unique and can be millions of years old. No two pieces of Lea Stein jewellery are alike - guaranteeing an original creation with an interesting design every time! African jewellery is often made from natural materials like bone, wood, stone, teeth, amber and ivory, and accessories have been worn by both men and women for hundreds of years. Abalone has an exceptional colour, and is therefore often used to make jewellery and accessories. Cufflinks have always been associated with luxury. Jewellery manufacturers during the Art Deco period focused on designing cufflinks that were easy to insert and remove, and they became statement pieces representing glamour, exuberance, and technological progress. The conventional birthstone for the month of May is the emerald - a magnificent green gemstone coveted the world over. Wrist watches are one of the most popular accessories worn by both men and women around the world today, and vintage watches are incredibly popular choices when it comes to selecting a special timepiece. Take a glimpse at the iconic Coco Chanel and her famous work. 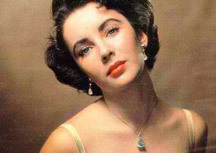 If there is one lesson to be learned from the sensational Elizabeth Taylor, it is that jewellery is meant to be worn and enjoyed! These three fictional jewels from the silver screen are so magnificent that I wish they were real! An overview of the hand motif in vintage and antique jewellery design. Jade is a beautiful gemstone that has been used by mankind for centuries in the design and creation of ornamental pieces and jewellery. 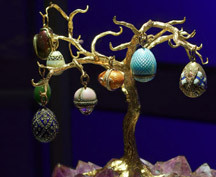 Fabergé is well known for its exquisite gem-encrusted creations. Find out more about this prestigious Russian design empire and its stunning jewellery. Spending a quarter of a century with the person that you love is something worth celebrating! The use of seals for privacy of correspondence, along with handwritten letters, has all but disappeared. 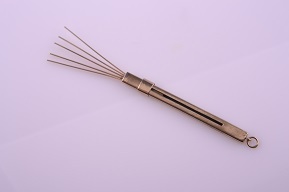 However there is still much allure, romance and novelty associated with these unique heirlooms. At the height of her Hollywood career, 1940's actress and inventor, Hedy Lemarr, was known as the most beautiful woman in the world. The goddess of 1940's film, she had a classic look and fashion style. These 3 famous jewels are exquisite, priceless and also hazardous to your health . . . Embrace the bold, colourful jewellery trends for 2014. How to choose vintage and antique jewellery that pays homage to Suzanne Collins's The Hunger Games trilogy. St Patrick's Day fashion can be stylish. Here's how to wow with vintage green jewellery. Browsing through a Georg Jensen catalogue is like looking at glimpses of the world from different times and different periods of artistic influence and grandeur. Read up all about the different ways to wear a dress clip, a classic accessory to up style most fashion ensembles. During World War I and II, soldiers serving their country would send home gifts and letters in order to keep in touch with their loved ones. Today, these have become collector's items, and jewellery lovers are starting to appreciate them as sentimental treasures. 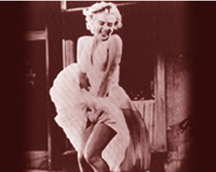 Marilyn Monroe has been a style icon since the 50's. Recreate her classic look. Find tips on buying vintage and antique jewellery here. Ensure that you get value for your money! One of the most mysterious pieces of antique jewellery is Queen Elizabeth I's locket ring. Diamonds never go out of style! Here is a four step guide to buying them. 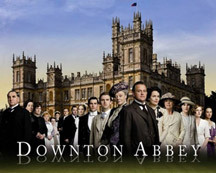 Downton Abbey is loved for its drama and fashion. The show makes great use of 1920's trends tied with Edwardian influences in an exquisite game of dress-up. Diamonds are as revered as they are beautiful, and they are the gemstone most frequently chosen for engagement rings. Cameos are beautiful, elegant pieces of jewellery that are cherished by jewellery lovers all over the world. Audrey Hepburn starred in many award-winning films, and is remembered as being one of the greatest stage and screen actresses of all time. 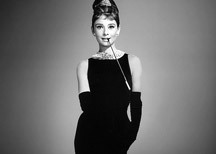 She is a style icon, with a fashion sensibility that carries across generations. Bulgari is a timeless company that has stayed true to its roots, and is faithful to its aesthetics. 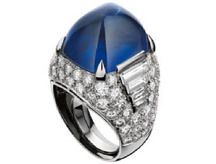 The Bulgari look is defined by its use of colourful precious stones like sapphires, chunky bold gold links and steel. Jewellery is primarily meant to be worn for aesthetics - something pretty to enhance an outfit or lift a mood, but it is great to have more than one reason to buy an eye-catching piece! A royal baby is always global news and an exciting time! It comes as no surprise that most gifts given to royal babies are conservative, and probably better suited to the parents than the baby! The rings gifted to a bride and groom on their wedding day are symbols of unwavering commitment and lifelong promises. These circular eternal bands have a long and interesting history - a history developed over thousands of years. Erich Frey was a German born goldsmith who was respected and admired by his peers. His work was unique and he proved to be an influential jeweller in his time. Antique pendants are generally beautifully crafted and valuable. The traditional anniversary gift list suggests cotton for one's 2nd year anniversary. China is the modern alternative. Tiffany & Co is possibly one of the most well-known names in jewellery design. A first anniversary is one of the most significant milestones in a marriage. Paper is traditionally given on this anniversary as its interlocking fibres are believed to symbolise the strength of the relationship. Every anniversary is a significant and important milestone, and should be treated as such! Fashion will never die! It is something that is around us always, and its styles and trends are something that we will always see and always be aware of. Jewellery is no different, and is hugely influenced by what has come before. A look at jewellery trends during the Victorian era. Investigating the stories behind the world’s most well-known diamonds. This visually captivating design style spanned several decades, and is remembered for its vivid use of colour and bold, strong lines. The word to define 80’s jewellery is 'BIG'. Actually, this word can be used to describe the whole decade! Jewellery was big, loud, proud and all about making a statement . . .
Joanne Glasser describes Amanda Appleby and what they do.